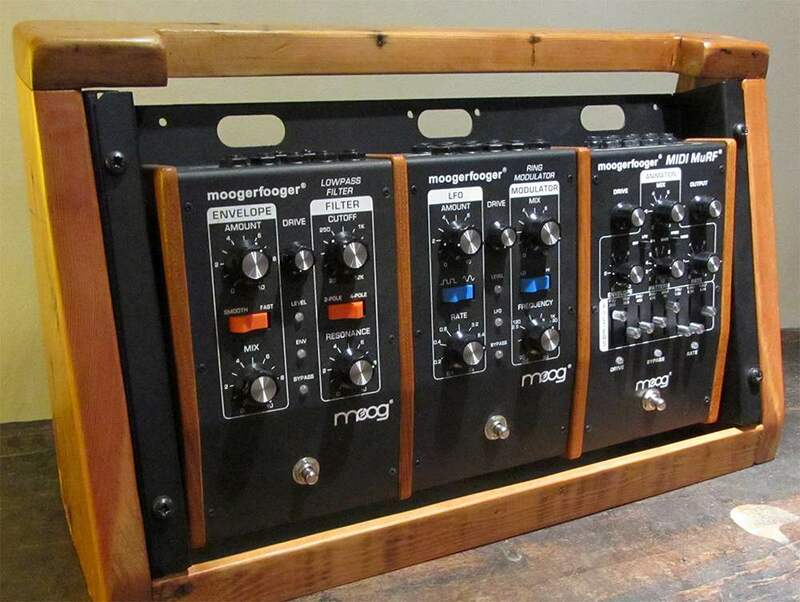 Angled rack unit built specifically to house three Moog Moogerfooger effects units in a Moogerfooger rack tray. This unit has been made from reclaimed pine floor boards. The top section of the unit has been cut away to allow for patching into the tops of the units. Rack tray not included with unit. 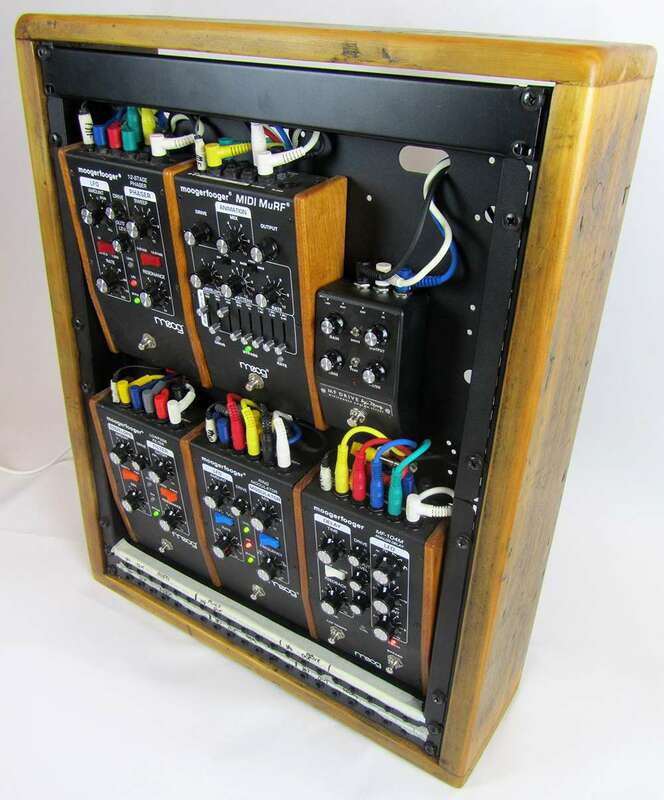 Straight fronted rack unit built to house six Moog Moogerfooger effects units in two Moogerfooger rack trays. 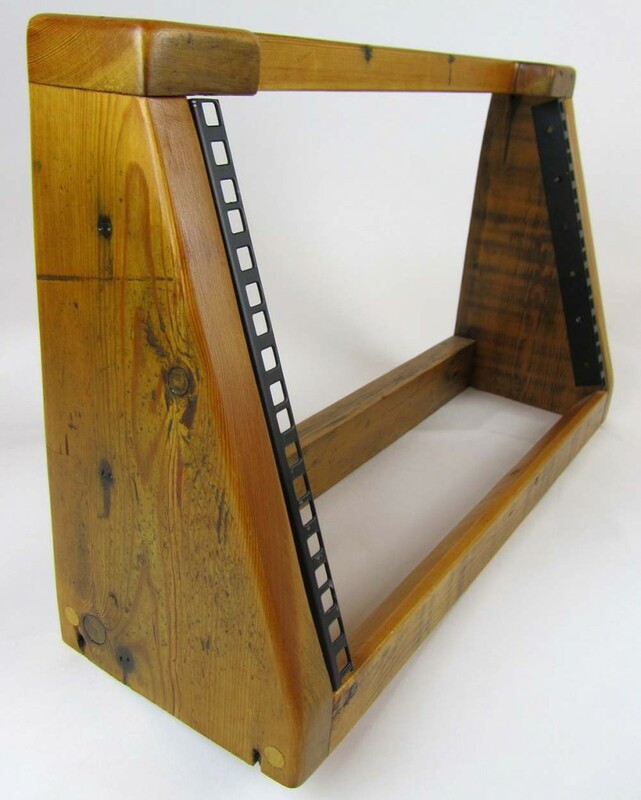 This particular unit has been made from reclaimed pine floor boards and has 2u spare which has been used for a patchbay and a blank panel to allow space for patching the top units in. Rack trays etc. not included with unit. I can build custom units based on your specifications. Contact me to discuss.